The northern reaches of the Pacific Coast range offer no shortage of superlatives: the largest non-polar ice sheets, the continent’s tallest mountains, the richest wildlife sanctuaries—to name just a few. 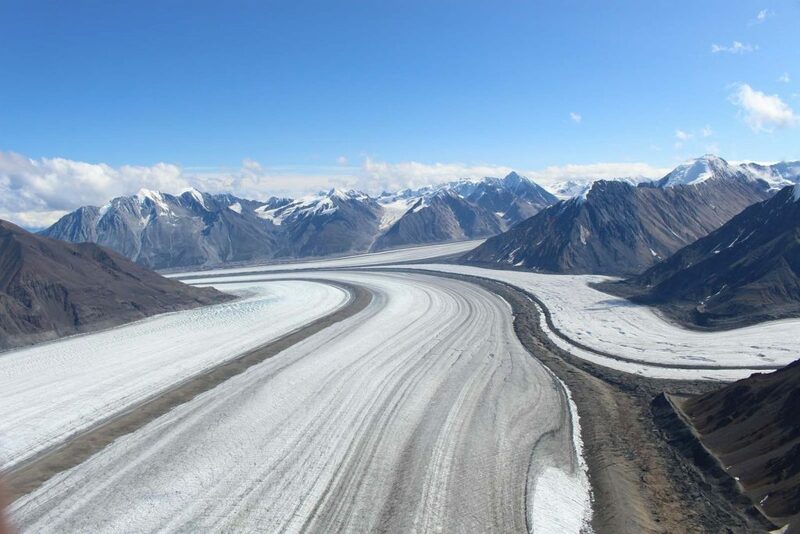 This is a powerful landscape, where millennia-old bergs the size of office buildings plunge into the sea, new lakes fill and burst, and rivers can literally reverse direction. 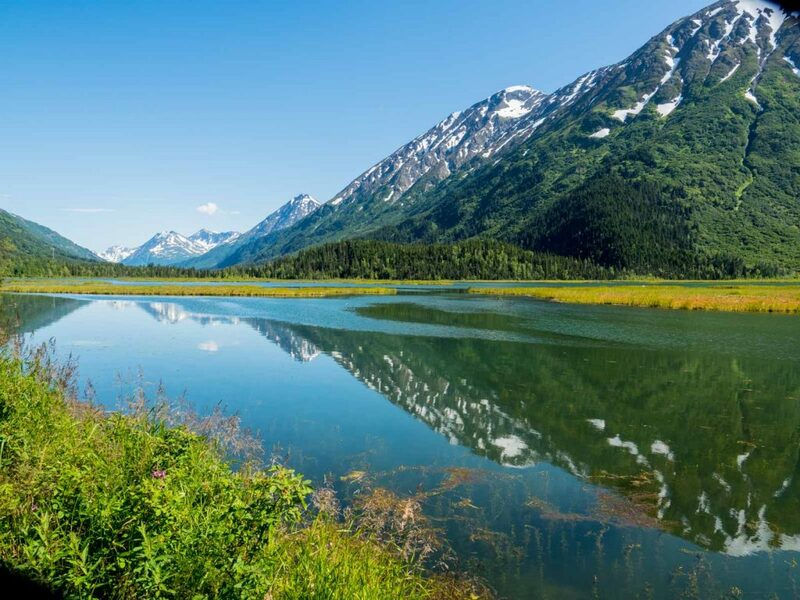 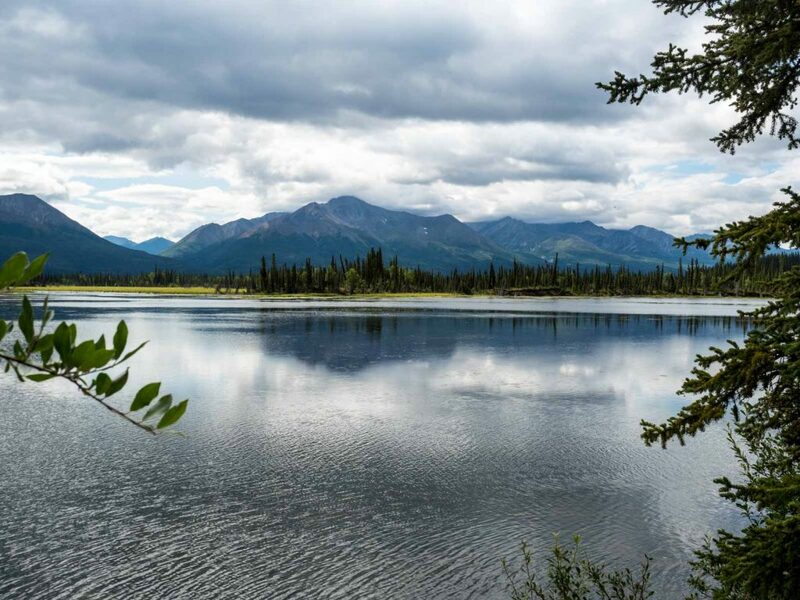 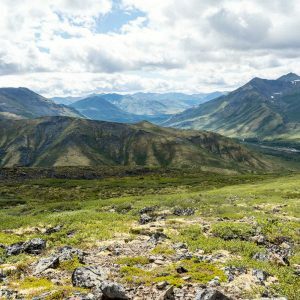 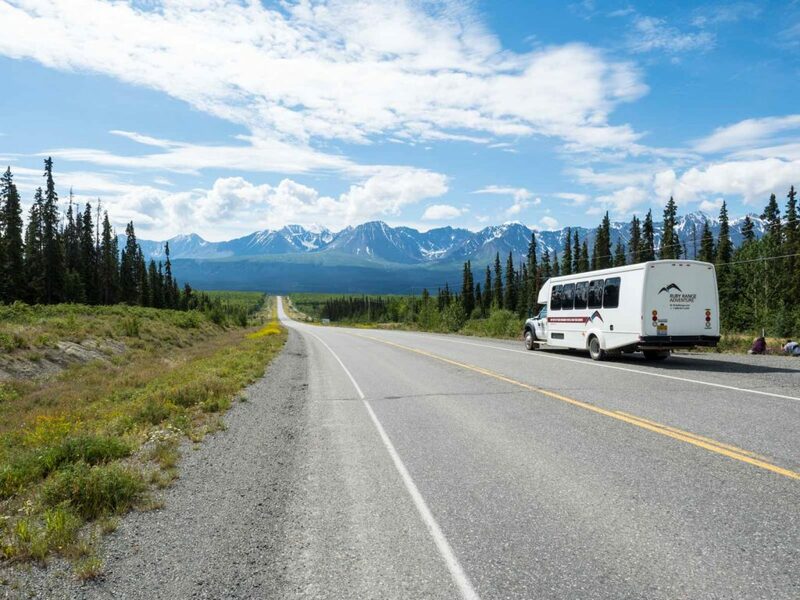 Our seven-day journey from Whitehorse, capital of Canada’s Yukon, to Anchorage, Alaska’s largest city, takes you over and along the crown of this spectacular range, with time to admire the sights, touch the glaciers, walk the trails, and revel in the history, culture, and cuisine. 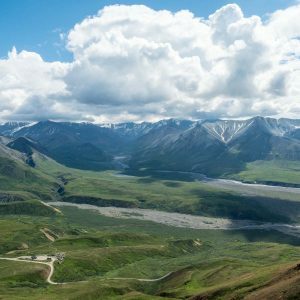 We begin the day southbound on the Glenn Highway, where, at Mile 102, a short walk allows you to literally touch one of the massive glaciers that cover much of Wrangell-St. Elias National Park. 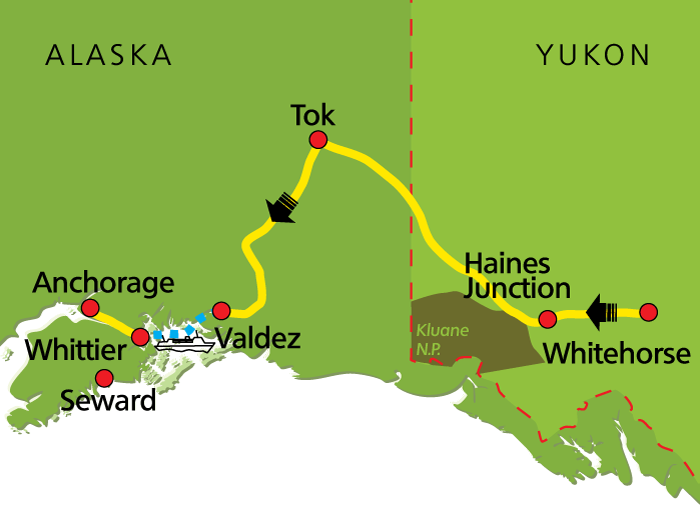 We’ll then branch off on the Richardson Highway toward Valdez, crossing the coastal range at Thompson Pass, where waterfalls plunge right next to the road. 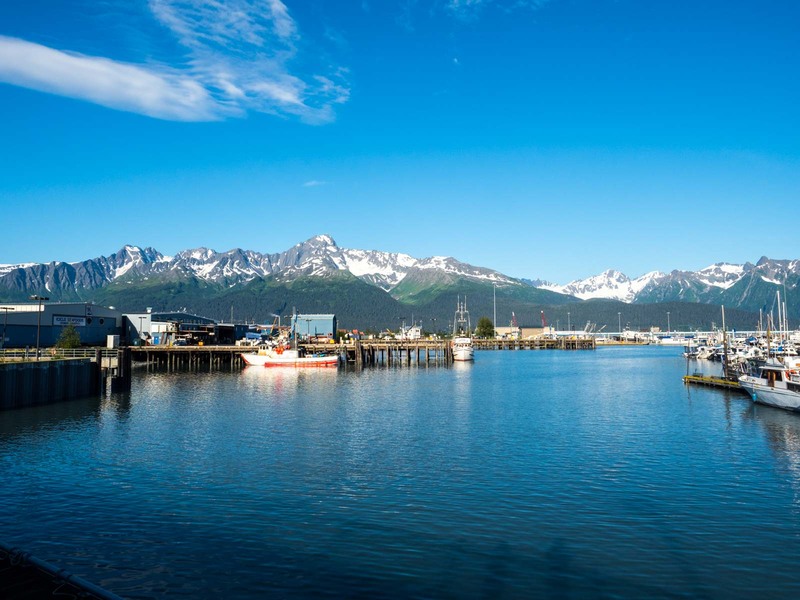 Valdez is known as “Little Switzerland” for its alpine surroundings, and is also the deep water port where the famous Trans Alaska Pipeline terminates, and enormous oil tankers come and go. 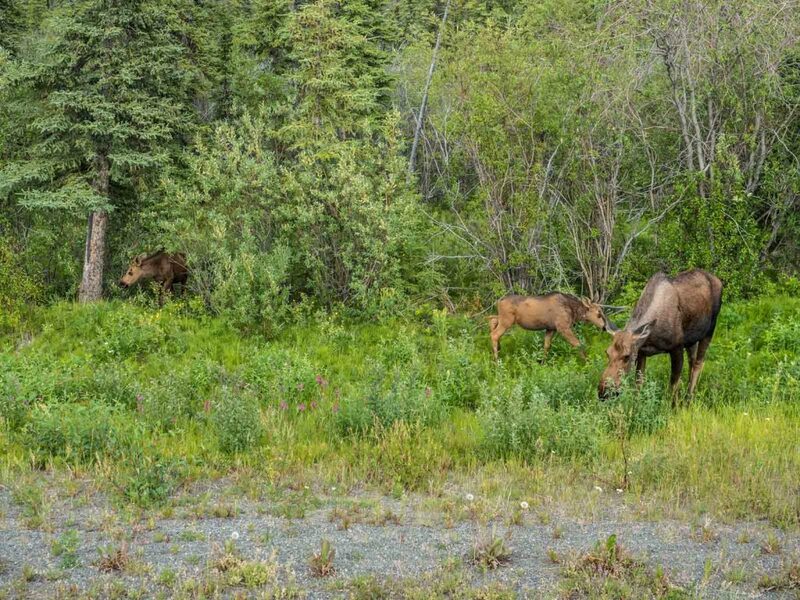 (Overnight hotel accommodation in Valdez). 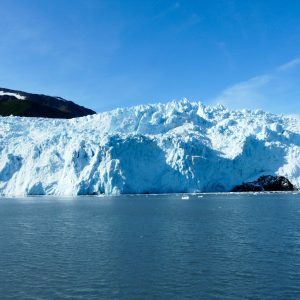 Today we head over water, crossing Prince William Sound by ferry. 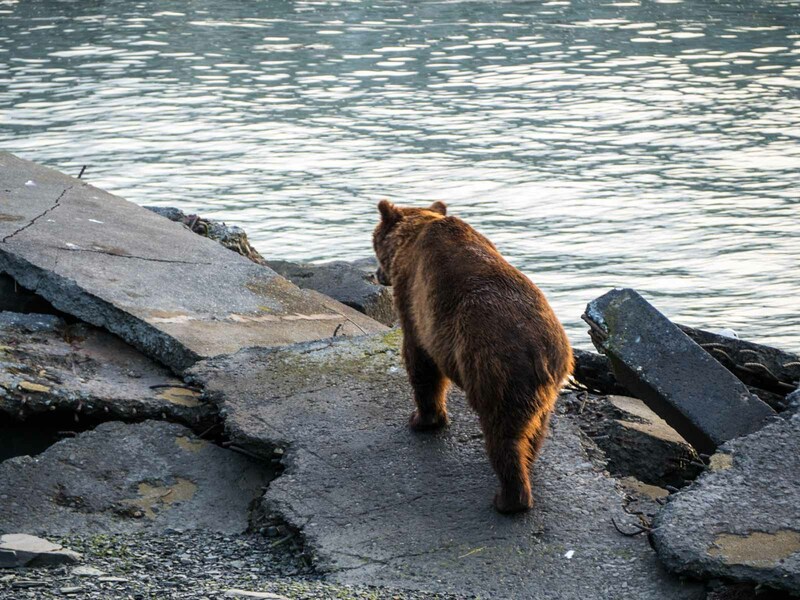 The ferry takes us through water teeming with puffins, otters, sea lions and whales, and past calving glaciers that drop straight into the sea. 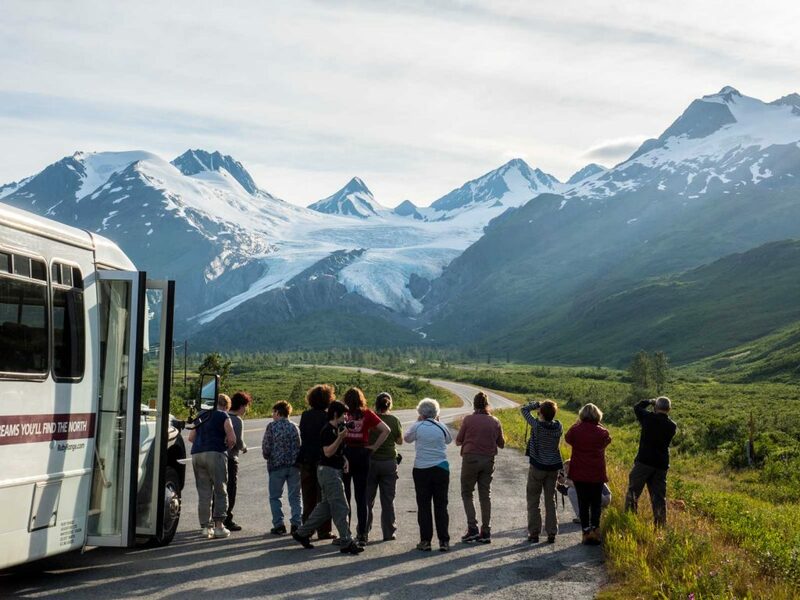 Once ashore, we’ll cross the Kenai Peninsula, stopping at the Portage Glacier, which is easily accessible by road. Our day ends in the seaside town of Seward. 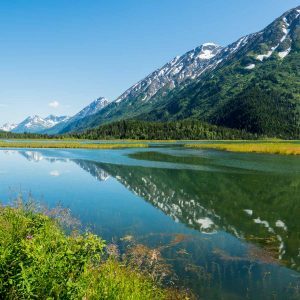 (Overnight hotel accommodation in Seward).